An Amazing A Cappella Adventure! Real Women, Real Harmony, Real Fun!! 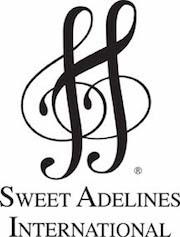 Each year we work toward a goal of competing at Regional Sweet Adelines Competition. RiverSong welcomes all interested women who love to sing! Jill has been a member of RiverSong since 1994.